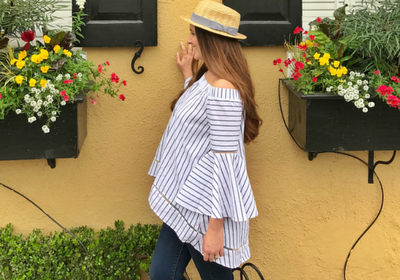 When we found out we were pregnant last year and started planning for baby gear, we knew that traveling would remain a very important part of our lives. With my family living in Paris, we had to be ready for frequent trips between Boston and the City of Lights. But traveling with a newborn can be downright challenging, especially for first time parents. 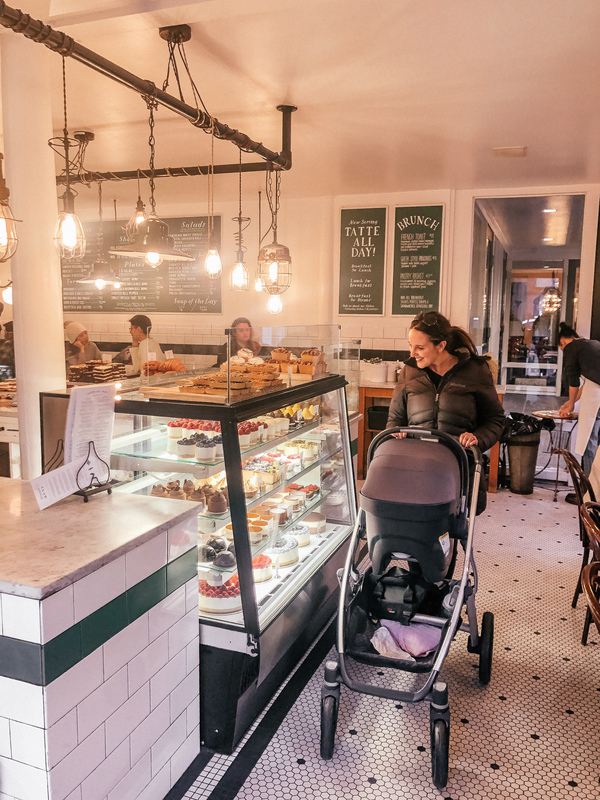 When we got the incredible opportunity to partner with UPPAbaby and try out the VISTA stroller and MESA car seat, we were thrilled. 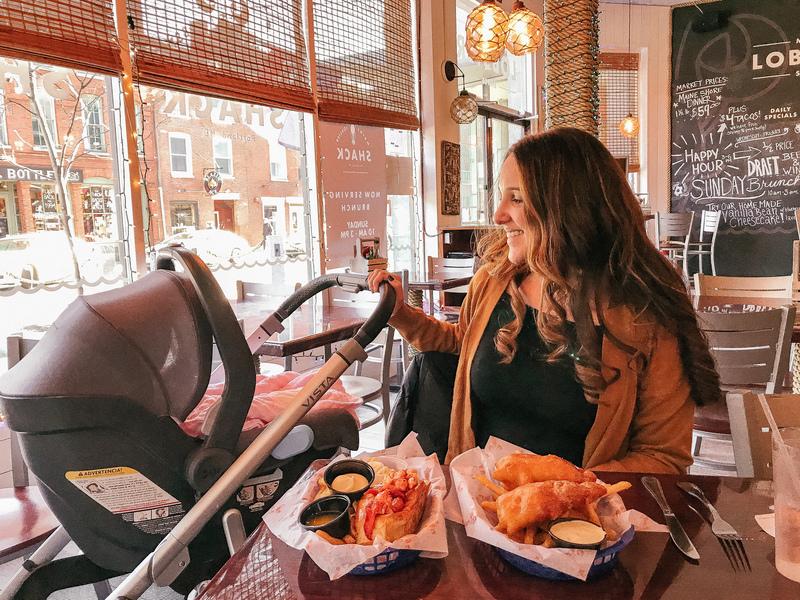 We knew we needed a stroller that could withstand Boston’s harsh winter weather, but also would be flexible enough to come with us on all of our travels. Here are 7 reasons why we absolutely love our UPPAbaby VISTA and MESA! 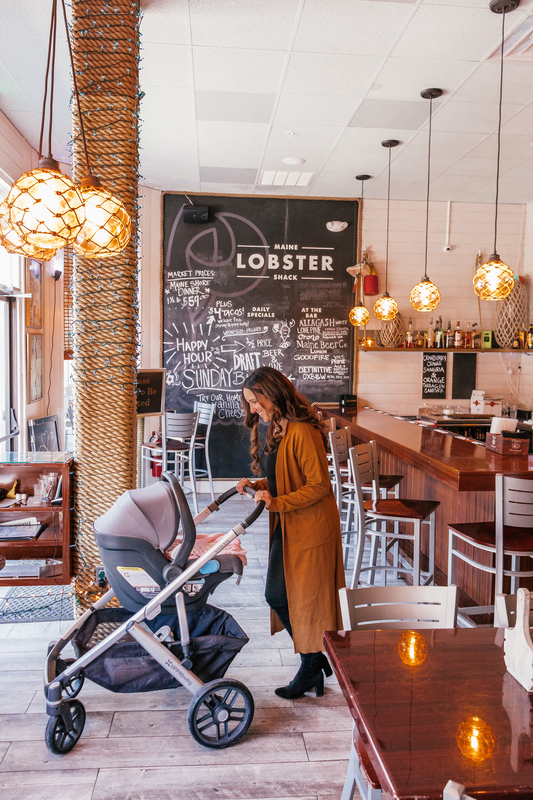 The UPPAbaby VISTA Stroller comes with both a baby Bassinet which can be used from birth (until baby outgrows it) and a Toddler Seat (which can be used 3 months up until 50 pounds). The MESA car seat which clips easily on the VISTA base can be used from birth as well. Ava just turned 3 months so we haven’t gotten to try the Toddler Seat yet but we are excited to transition her to a more upright position in a few weeks as she is becoming more and more curious of the outside world! So far, our favorite combination is the VISTA base with the MESA car seat, as it is the most convenient for air and car travel! A ton of fun accessories are included with the VISTA stroller so you pretty much don’t need to purchase anything extra. The VISTA comes with a Bassinet and an upright Toddler Seat, bugnets, sunshades and a rainshield. 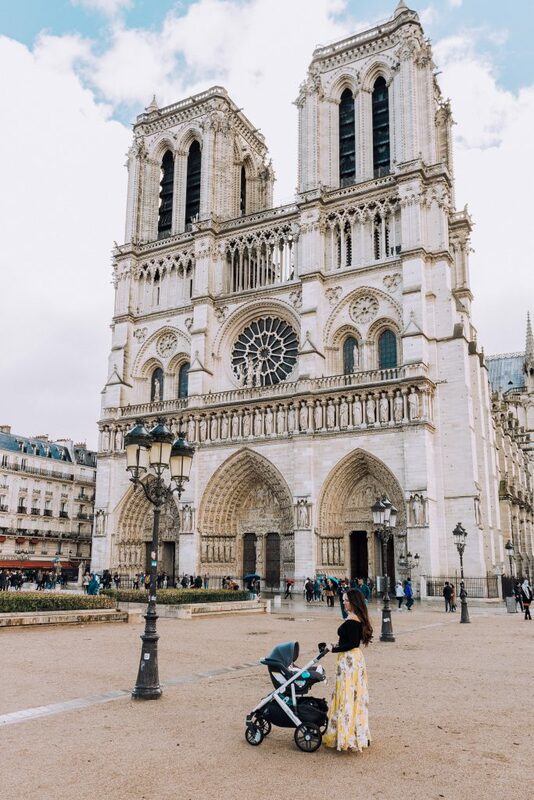 While the rainshield is technically made for the Toddler Seat, we used it on our MESA when we got caught in a rain shower in Paris and it kept baby Ava nice and dry. 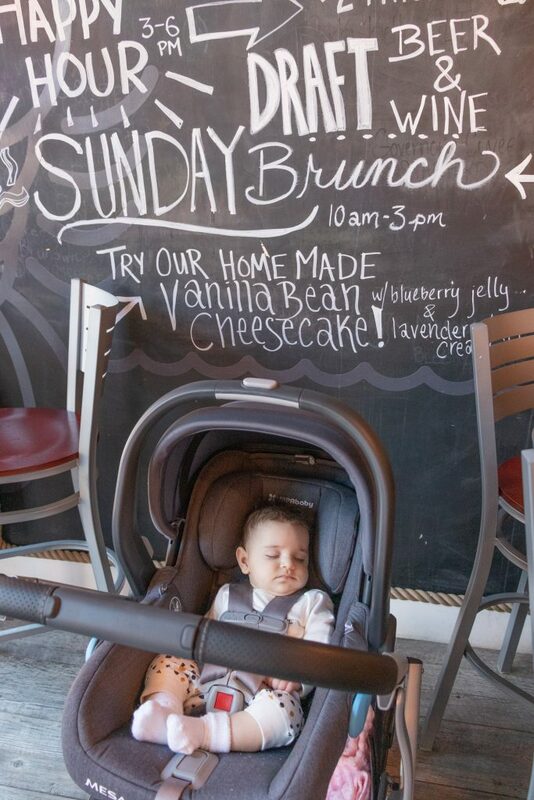 The Bassinet was a really comfy place for Ava to nap on the go, and she loved it when she was a newborn. We didn’t get to use it on walks as much as we wanted to since the Boston winter weather was really rough when she was born. But the Bassinet was invaluable in those first few weeks to take Ava to all her pediatrician appointments without having to take her out of her swaddle and wake her up. The best part about the Bassinet is that it is safe for overnight sleep and can double up as a bed on the go. We brought it with us to visit the grand parents and Ava slept in it overnight as smoothly as she does in her bed at home. We loved that we didn’t need to invest in a travel crib off the get go since we had the UPPAbaby Bassinet! As we often go on road trips and always rent a car abroad, we knew Ava would end up spending a lot of time in her MESA car seat. Aside from safety, we really wanted to make sure that she would be comfortable during car rides. 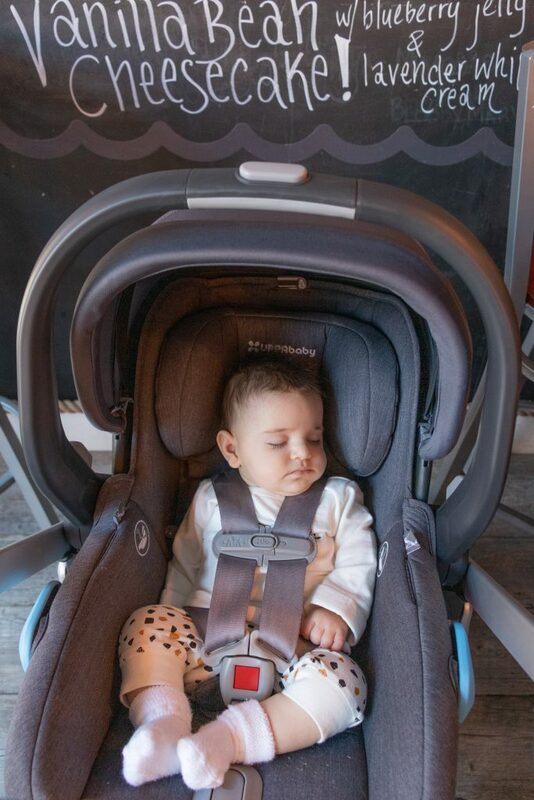 Thanks to all the padding in the MESA and the breathable material, Ava was always cozy and comfy in her car seat, even on pretty long car rides. The stroller is not only comfortable for baby, it’s also comfortable for the (usually tired) parents who are pushing (aka us). The adjustable handle lets us set the handle height at a position that is both comfortable for myself and my husband (who is much taller than me). The UPPAbaby system just makes your life easier as new parents – because EVERYTHING about it is convenient. Let’s start with my favorite feature of all, the GIGANTIC storage basket. This is where, as a new mom, UPPAbaby really gets me… like if I imagined this storage basket in a dream I wouldn’t have made it bigger. 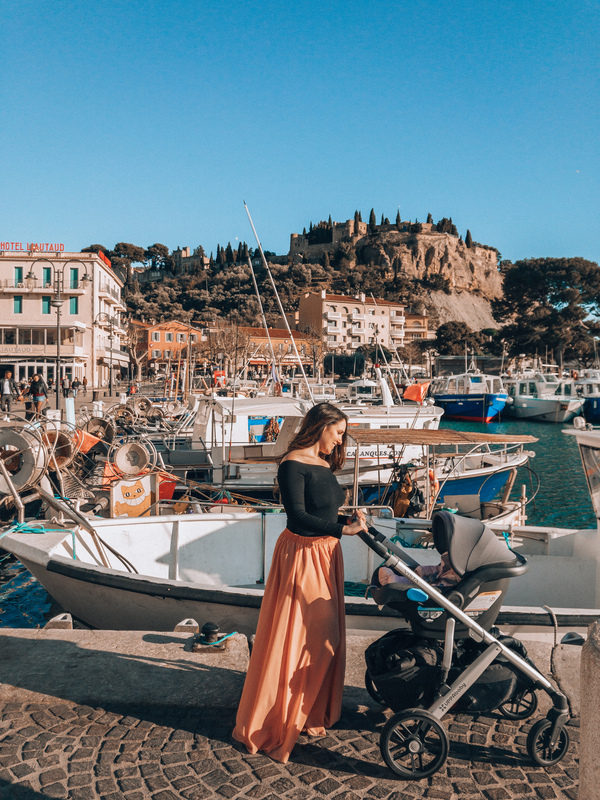 Picture us on a road trip along the French Riviera to the adorable coastal town of Cassis with our 3 month old baby. We have: a large diaper bag, 2 coats, a camera bag, multiple outfit changes, bottles of water, and we still had room for more. Everything just fit in the storage basket without any effort. It was a magical moment. I am sure the storage capacity will come in really handy when we start bringing snacks, books and toys for the whole family in the near future. The other really convenient feature is that the MESA car seat attaches directly to the VISTA without the need for extra adapters. Bring this back a few months “pre- parenthood” and we were like: “oh this sounds pretty cool…”. Fast forward to now with a napping baby in the car seat: “How do those people do it… those who can’t clip their car seat onto their stroller in half a second without waking up their baby”. Something that sounded like a luxury quickly became a necessity. When selecting baby gear, safety is our number 1 priority. Both the UPPAbaby VISTA stroller and MESA car seat earn stellar grades when it comes to safety, making us parents feel completely at ease. When we first installed the MESA in our Nissan Rogue before baby was born, we were obviously nervous as any first time parent would be. But thanks to the tightness indicator feature on the base, it was extremely easy to tell if the base had been installed correctly (the color switches from red to green for confirmation). This feature really made us feel safe and confident. Another thing we loved about the MESA is that it can be attached to a car using two different methods, which is really clutch for travel. You can install the seat using either a seat belt or self-retracting LATCH connectors (with the base). 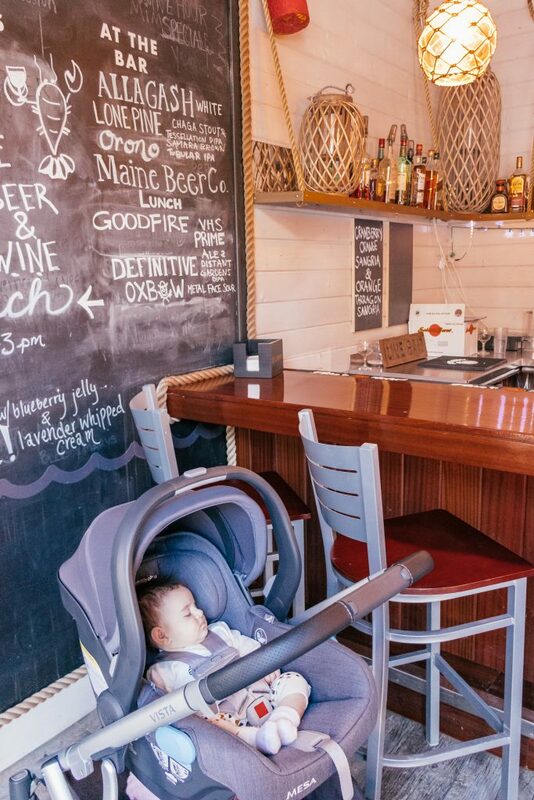 While we use the base in our car in Boston, it is really convenient when we travel to be able to install the car seat quickly and safely in taxis and rental cars. 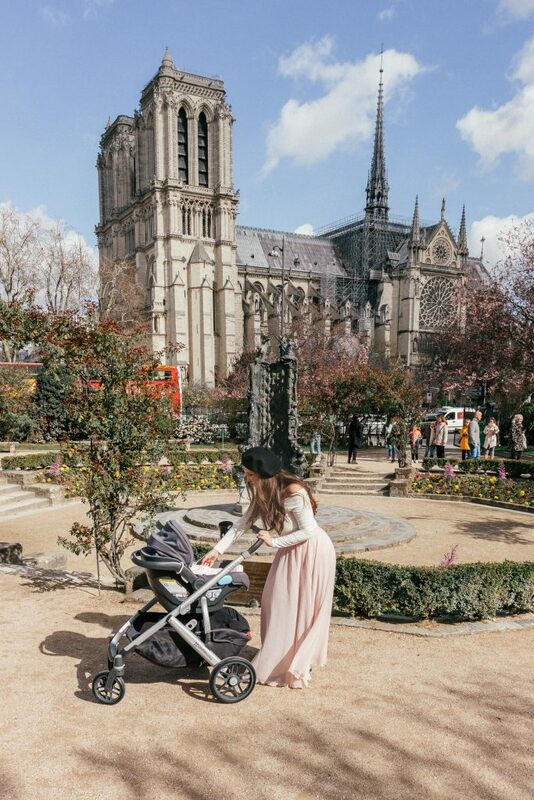 My husband and I both love the stylish and classy look of the stroller. Not gonna lie I felt like a pretty hot mama pushing it all over the streets of Paris. The first time we took baby out to a brewery in her UPPAbaby, a guy actually came up to my husband and asked him: “Excuse me, what kind of stroller is that?”. It’s that much of a show-stopper that even guys drinking beer ask about it. Our UPPAbaby VISTA JORDAN is a dark tone of grey which I chose because it is both trendy and gender neutral (who knows what baby #2 will be!). The leather handlebar is that small touch that sets this stroller apart from the rest when it comes to looks. The VISTA is really easy to fold and unfold, and also stands when folded. Once you figure out how to snap and lock it in place, it’s a breeze. While the frame fits really easily in the trunk of our Nissan Rogue (and would in most American car), it took up most of the trunk space in the small rental cars we got in France. 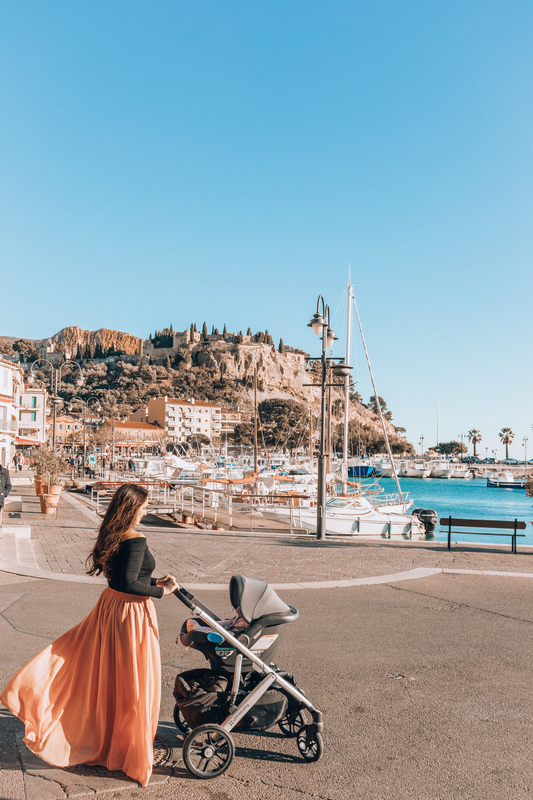 For this reason, we will consider getting the UPPAbaby travel stroller MINU in the future which is considerably smaller folded (and still fits the MESA car seat!). 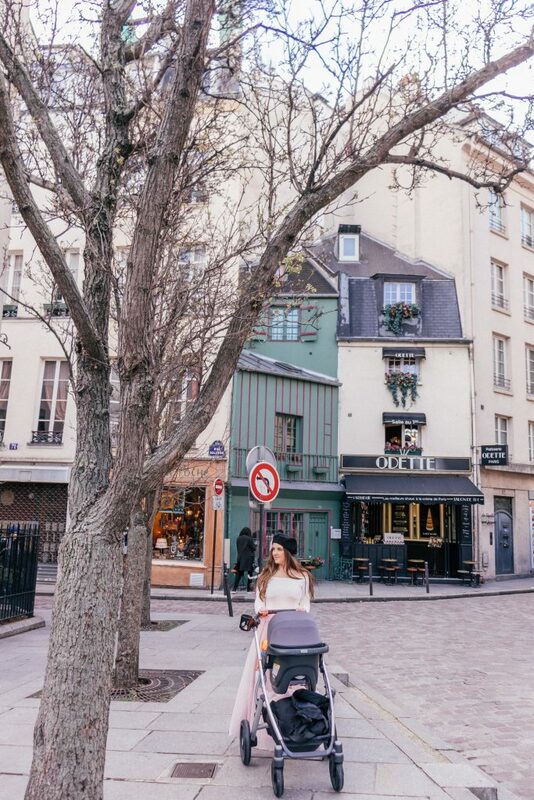 The UPPAbaby VISTA stroller easily adapts to different terrains and remains sturdy and stable no matter where you’re strolling. We’ve put it to the test and it is very easy to push on various surfaces. I took the stroller for a spin after a snowstorm in Boston with snow and ice on the ground and it held up beautifully. We also took it on gravel and sandy terrain in France and had absolutely no issues. Finally, it feels lightweight and effortlessly maneuvers busy city streets in downtown Boston. The robust wheels absorb shock and can easily handle cobblestone streets and bumpy sidewalks, which was a lifesaver in Paris. Last but not least, the UPPAbaby VISTA is one of the only strollers that truly grows with your family. It easily converts into a double stroller with lots of different configurations to adapt to each child at every stage.The VISTA can also accommodates even a third child with the PiggyBack ride along board. 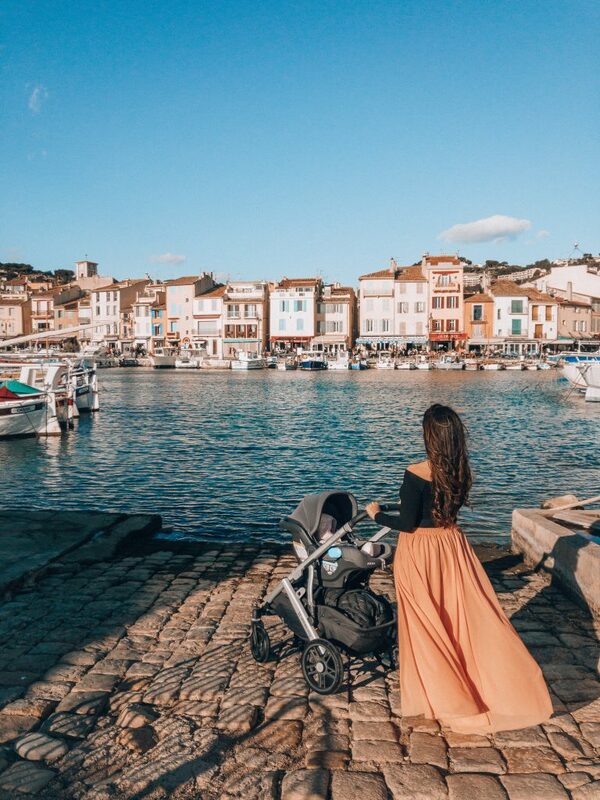 The VISTA may be more expensive that most strollers on the market, but you won’t have to worry about getting another stroller again. Thank you UPPAbaby for gifting us this amazing stroller and car seat to take with us on our adventures! This looks like such an awesome stroller. I wish I had that when my kids were little! It really looks so much more versatile than the strollers we had for our kids. Oh! This is timely. My sister is asking one as a gift for my niece. Thank you for your detailed review. Seriously considering to get this. It looks like that works perfectly for you! I love how much cargo space you have in the stroller! Aw man, I wish I had had this when my kiddos were little. 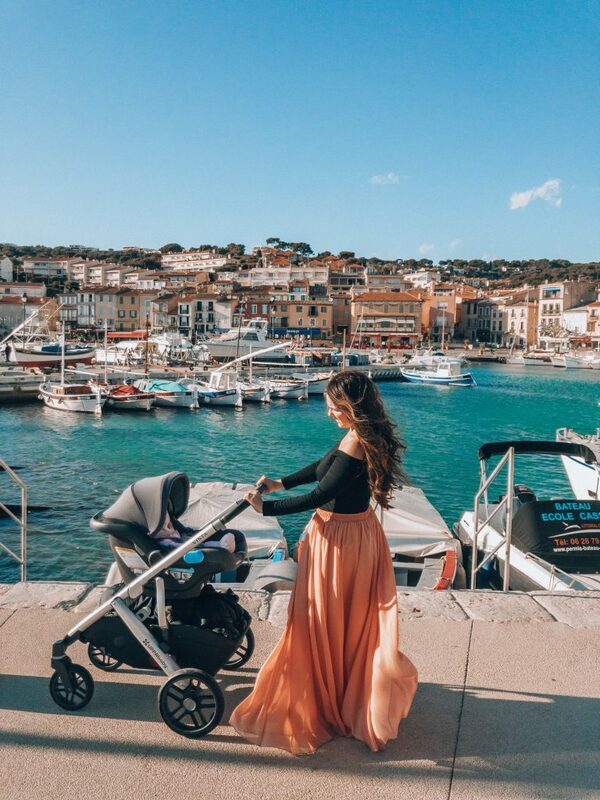 We had a very basic (and CHEAP) folding stroller and it worked well enough but it would have been a lot easier travelling with a stroller like this one! I love how it looks and how compact it is, but the price didn’t even put it on our list as an option, but glad it works for you!